How did you do wIth last week’s Mystery Creature? We found it on our little Adventure in our local bog…. it was the DRINKER MOTH CATERPILLAR (Euthrix potatoria). 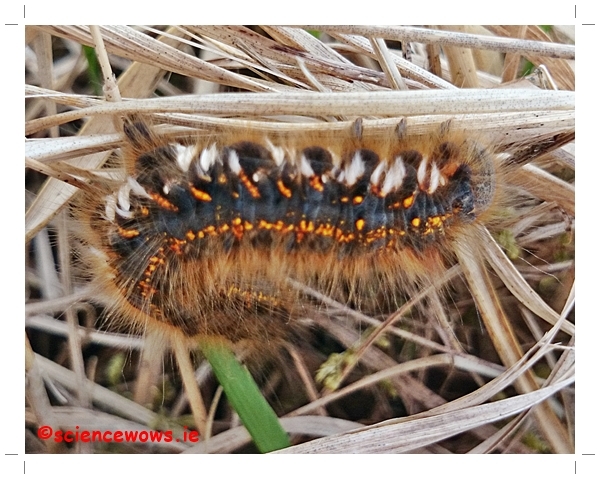 Although I have not actually seen one of these caterpillars before they are quite common in Ireland and the bog terrain where we found it is very typical habitat. The creature supposedly gets its name from the caterpillar drinking dew from the grasses on which it feeds. The caterpillars are usually seen between April and July while the Moths (which are nocturnal) can be spotted between June and August. The caterpillars tend to be more colourful than the moths… the males are a pale brown while the females are a bit more colourful with a yellow hue. 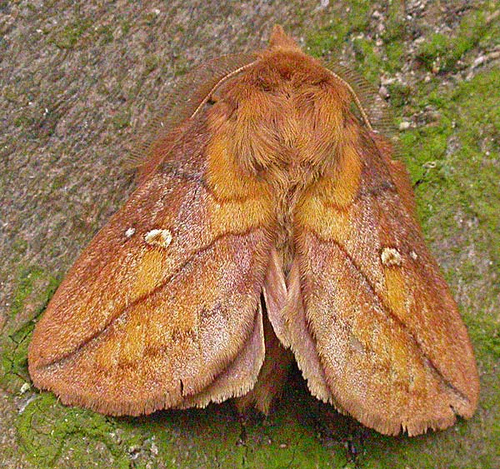 The moths have two white spots on the fore wing and a wing span of approximately 70 mm. Check out Nature Learn on Face Book for some wonderful wildlife photos and facts or find out more from this interview.